1831–1913). Image courtesy of the The Athenaeum. In 1851 James Richardson, a lawyer in Dedham, Massachusetts, hired eighteen-year-old Louisa May Alcott as a servant and companion for his invalid sister and elderly father. A short entry in Louisa’s journal sums up the experience: “I go to Dedham as a servant & try it for a month, but get starved & frozen & give it up.” (She actually stayed on for seven weeks.) One doesn’t have to read deeply between the lines of her later retellings, both autobiographical and fictional, to understand that the atmosphere was not only uncomfortable and grueling but also sexually charged. Soon after this brief employment, Alcott’s first published work appeared: a poem in Peterson’s, a popular women’s magazine. It was quickly followed by a story, “The Rival Painters,” in the Saturday Evening Gazette. During the next decade she published some twenty pieces of short fiction, as well as her first book, Flower Fables (1855), a collection of fairy tales originally written for Ralph Waldo Emerson’s daughter. Yet she was earning barely enough money to make ends meet. Still trying to break through as a writer, in 1861 Alcott began working on a novel called “Success,” but put it away after less than a month. She intended it to be autobiographical, with episodes based on her stints as a domestic servant, governess, and seamstress and on her various attempts at an acting career. By the beginning of 1862 Alcott was staying at the home of a second cousin, Annie Adams, whose husband was the prestigious Boston publisher James T. Fields. At the urging of a friend, she opened a kindergarten, even though she loathed teaching; Fields loaned her forty dollars for materials. He had just assumed the duties of editor at the Atlantic Monthly, a magazine that he and his business partner, William Ticknor, had purchased almost three years earlier. 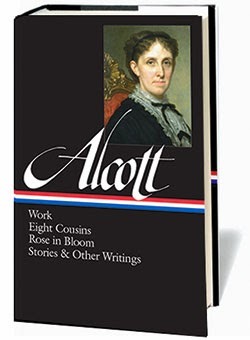 Hoping Fields would help further her career, Alcott at some point showed him her writing, including the manuscript for “How I Went Out to Service,” a fictionalized account of her seven weeks as a house servant. 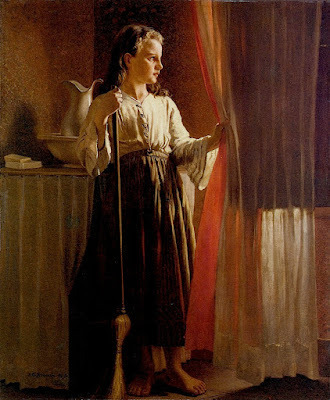 He rejected the piece, telling her, “Stick to your teaching; you can’t write.” In spite of this advice, Alcott abandoned the kindergarten in May. Distraught that she still owed Fields forty dollars and stinging from his rejection of her story, she wrote in her journal, “I won’t teach; and I can write, and I’ll prove it.” Fields must have had some regard for Alcott’s writing, since he published two of her stories and a poem within the next year. Notes: On page 808, Alcott describes the trajectory of her heroine’s aspirations as plunging from the triumph of Sarah Siddons, one of the most famous English actresses of the previous century, to the misery of Betcinder, or Cinderella. A delaine is a garment made from fine combing wool, especially the wool of Merino sheep. On page 811, the comparison of the old woman to a Borgia is a reference to the notoriously power-hungry family of Renaissance Italy, particularly Lucrezia Borgia, who is remembered for alleged political and domestic intrigues. When I was eighteen I wanted something to do. I had tried teaching for two years, and hated it; I had tried sewing, and could not earn my bread in that way, at the cost of health; I tried story-writing and got five dollars for stories which now bring a hundred; I had thought seriously of going upon the stage, but certain highly respectable relatives were so shocked at the mere idea that I relinquished my dramatic aspirations. . . . If you don't see the full selection below, click here (PDF) or click here (Google Docs) to read it—free!